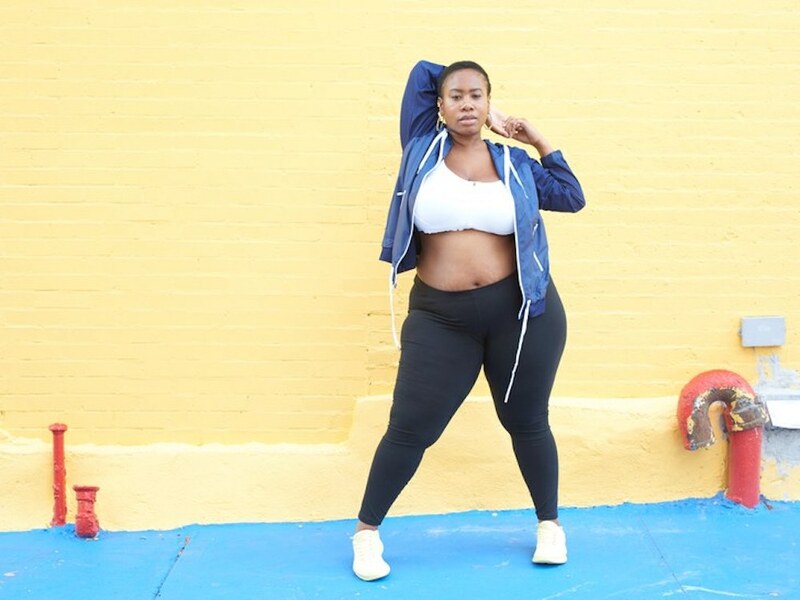 Plus Size Yoga instructor Dana proves that all bodies are good bodies! Meet plus size yoga instructor Dana Falsetti – It has taken Dana a long time to come to grips with her body and how her size makes her feel. After binge eating as a youngster Dana associated her weight with her unhappiness. So she decided to lose weight with the hopes of finding happiness. The thinner Dana was no happier than the fat Dana. She didn’t know where to turn. It was by chance that she went to a yoga class at a local studio and this is where everything changed. She found a level of peace and comfort with herself. She found her calling and began to embrace her shape. It has taken Dana some time to find her happiness and she wants to be able to help others with their body acceptance and to make their journey a shorter and happier one. When she first started out with yoga it was difficult to carry out all of the moves, but once she saw what was possible, there would be no holding Dana back. She states that the first block that people have to overcome when they are on a similar journey is the mental block put there by oneself. Dana has a large following on social media which has helped to launch her yoga classes to the world. This has given her the platform to share conversations with others, answer questions and show the level of flexibility that is possible for plus sized bodies. The “Taking Shape” yoga workouts with Dana Falsetti are amazing. This 30 day training series takes the movement and stretches found within yoga and develops towards strength and body positivity. Dana Falsetti is helping people to get fit and to have a better view of their own body while promoting a positive body image.